You know those evenings when you come home from work and the husband is out for dinner so its jut you and the dogs and you want to just chill and watch “Vinyl” but you have to eat and you’re certainly not about to make meat loaf but you don’t want to just eat Cheerios either? 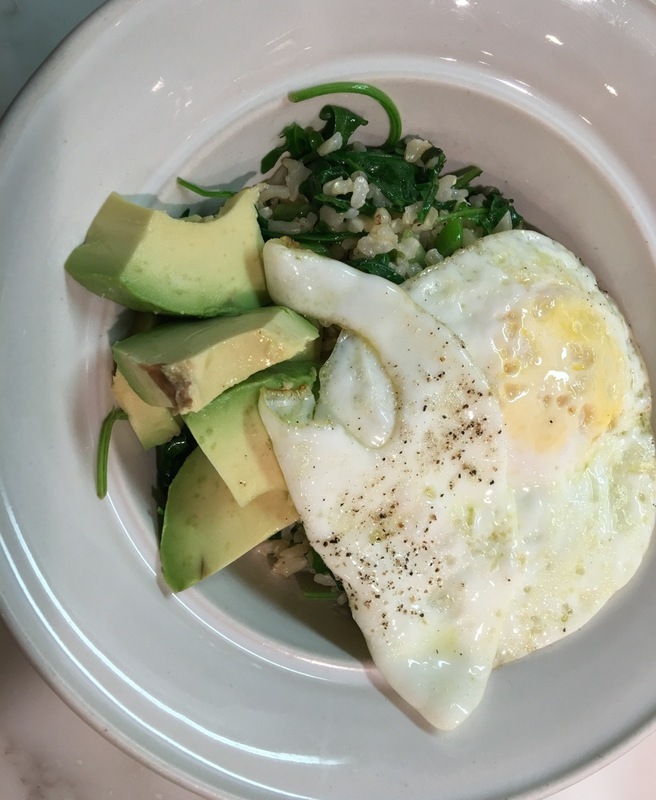 Here’s what I made the other night and here are more grain bowl recipes than anyone actually needs. Heat 2 teaspoons of the oil in a small saucepan over medium low heat. Add the scallions and cook, stirring, until softened, about two minutes. Add the thyme leaves, then the brown rice. Sprinkle lightly with salt and pepper and stir to combine ingredients. Cook for a minute or two till the rice is hot, then stir in the spinach. Cover the pan and let the hot rice steam the spinach until it’s wilted, about 3-4 minutes. Meanwhile, in a small non-stick frying pan, heat the remaining oil over medium heat and fry the egg until it is as firm as you desire, over easy or sunny side up, whatever works for you. Sprinkle lightly with salt and pepper. Add the lemon juice to the rice mixture, stir it and place it in a bowl. Place the avocado slices on top, then the fried egg on top of that. Note: There are infinite variations. Use black rice or quinoa or faro. You can add leftover cooked butternut squash or any other vegetable, chicken, shrimp or beef, cheese—whatever. 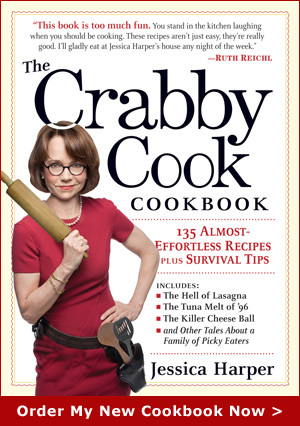 You are currently browsing the The Crabby Cook – Jessica Harper blog archives for May, 2016.